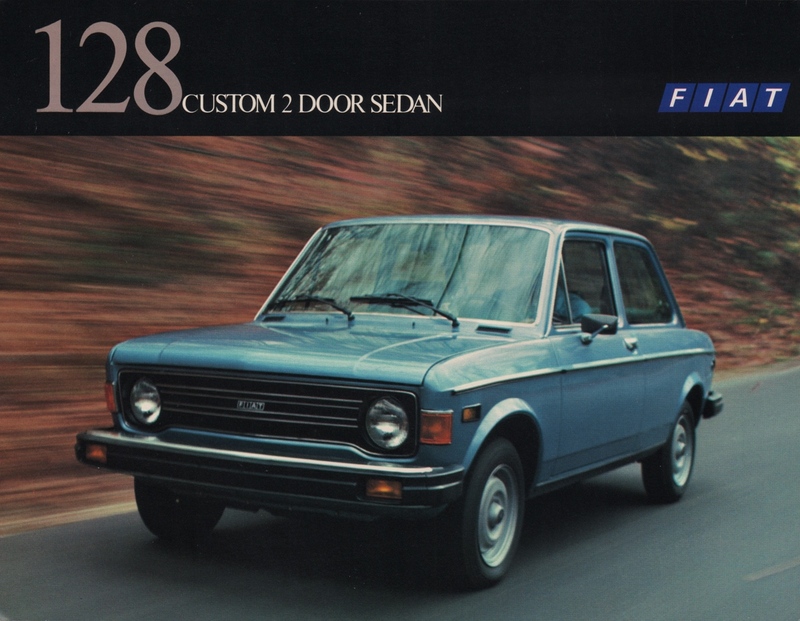 Sales card for the 1977 Fiat 128 Custom 2-Door Sedan printed in the U.S.A. The 1977 Fiat shown here has a 1.29L (78.7ci) SOHC inline 4-cylinder. The specifications are listed on the back page. The text reads, 128 Custom 2 Door Sedan The precision sized family car Fiat's been famous for. The one driven safely on all kinds of roads. In all kinds of climates. Economically. Comfortably. The kind of car Detroit has finally decided is right for America. But Fiat's had it all along. Our 128 Custom 2 door is equipped with the rally winning 1290 cc. 4 cylinder engine. And that means action. With fast acceleration and extraordinary highway maneuvering. Great traction in even the worst weather. Thanks to front wheel drive. Check our specifications and check off what you get as standard equipment on a Fiat. Our standard equipment is most everyone else's extras. Come to Fiat. We've go everything to offer.